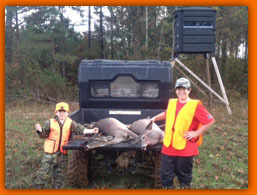 These two young hunters hunted out of their Sportsman’s Condo this weekend and harvested two does. 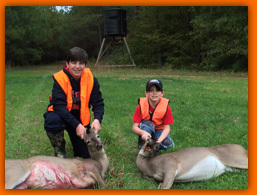 Congratulations, boys! construct my elevated blind. I have attached a pic for you. 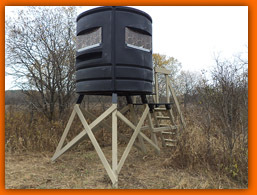 Fall is in the air and the deer stand is finally finished. 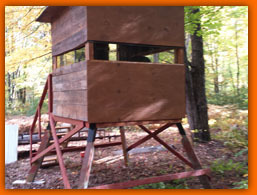 It was built to hold a CLAM insulated ground blind with the platform at 6’x6’. 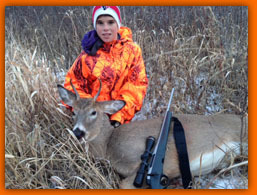 The next one will have a deck size of 6’x8’ to give a little wiggle room to enter and exit the blind. The brackets worked great and sometime this winter I’ll be ordering another set. 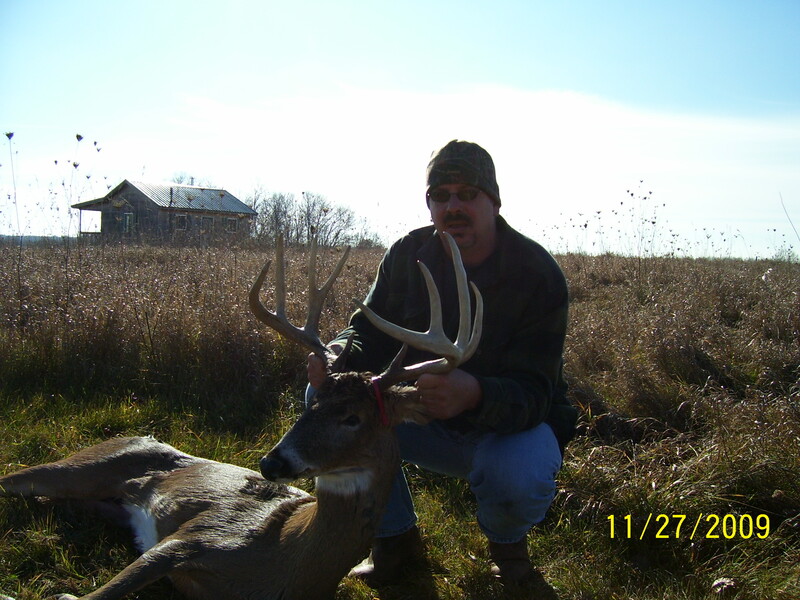 Awesome buck taken from a Sportsmans Condo SC-2! 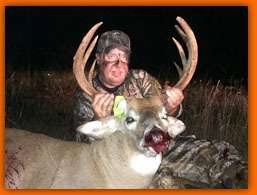 The “Mississippi Deer Mafia” makes good use of the Sportsmans Condo SC-2! 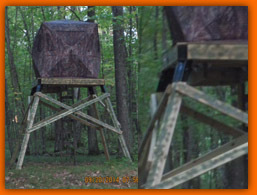 Here is a picture of my Crossbow Condo. I am very pleased with it. I bought it for my wife, but it is large enough for both of us. I used 6′ posts which was plenty high for our situation. Our soil is soft so I added 2x4s cross ways on the leg bottoms for a wider footprint. Set up was easy, two of us did it in about 3hrs from start to finish. I strongly recommend buying the Condo Deck, makes entry easy plus makes the stand more sturdy. 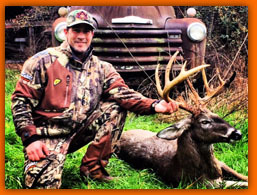 Hunting in comfort this year. 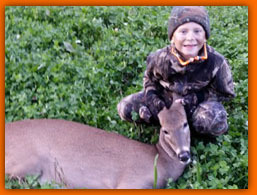 John G. from Mississippi with his first deer! 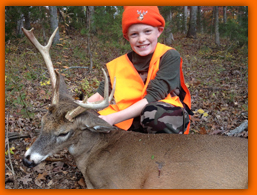 It is my pleasure to share a buck my nephew, Garrett R., shot yesterday morning (MO youth season) out of one of the Bow Condos I purchased from you a couple months ago.